Friday night we welcomed Debbie, Lucretia and John to our meeting. 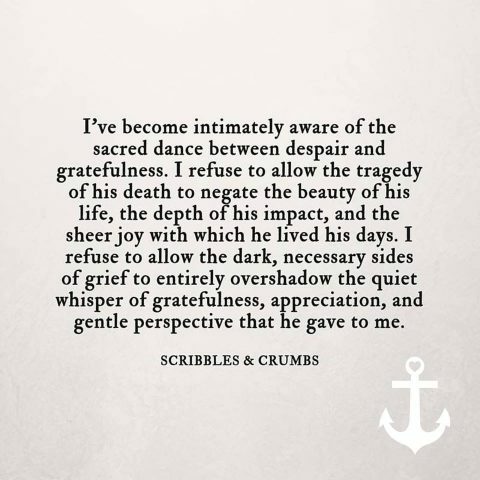 Beginning the meeting with a piece that I have attached to this email by "Scribbles and Crumbs".....keeping my focus on gratitude and the power of love, I know that this place I've created takes much work. As we went around the room as we always do, I took away the fact that each one of us not only has our own "coping skills," we also create the story that helps us find a place where some peace resides. For some, they may blame their loved ones. Other's blame our Government, Mental illness, their loved ones friends, the dealer, the list goes on. Some look to their faith and the idea of a "destiny," that we have no control over. Spiritual growth during this journey can be looked at as blessing and gift, for this can bring about an awareness and enlightment that can battle the darkness of death. Whatever story you choose to live with, there is one component that we all can agree on and that is the Love we have for our loved ones! As the meeting was concluding, I mentioned a song that has resonated with me not only after Billy passed, but as we face Brian's illness head on. The song is "Hard Love" by Need to Breathe. I believe it was used in the movie "The Shack" It is not a religious song.... I promised to attach the link in this follow up - just click NEEDTOBREATHE - "HARD LOVE (feat. Andra Day)"
Friday night we welcomed Jeannette and Barbara to our meeting with open arms and sympathetic hearts. While many of our meetings consist of parents who have lost a child or children, we have had many siblings, grandparents, aunts, uncles, cousins as well as friends attend. We empathized with Barbara as she shared the loss of her two brothers. We know very well as parents that the siblings carry not only their own heavy heart, but also the hearts of their Mother's and Father's. And, in many situations, the sibling(s) can feel the responsibility and guilt from the loss. I began the meeting with an article that suggested the power of journaling and living with gratitude. "No child dies without a legacy and a purpose for those that are left behind. It's up to you, whether you are a Mom, Dad, Sister, Brother, etc., Honor your loved one by healing....They wouldn't want it any other way." - Sandy Peckinpah. Understanding that there is no right or wrong way to grieve, we try our best to navigate and cope "the best we know how." Some will stay as busy as they can not to feel the pain, while others sit in the pain and may not be able to return to work too soon. Jeannette shared with us "those who are able to cry are very fortunate." We are all different, we all grieve different. As we went around the room in conversation, the word "guilt" was brought up over and over again. We can try to rationalize with ourselves that we did everything we could for our loved ones, but we may still harbor the feeling of regret and guilt. The only true way you will free yourself from this feeling of burden is by forgiveness. Forgive yourself for whatever it is that you feel guilty about...tough love, enabling, not knowing everything! "Uproot guilt and plant forgiveness!" - Maya Angelou. Friday night we gathered with our many members....the first meeting of the New Year, and the realization that each "New Year" will now be measured by our loss and grief. I began the meeting with reassurance to all who routinely come to our meetings, as well as those who periodically attend, that we will "always be here" in this space the 3rd Friday of each month. Both Larry and I are committed to our GRASP group, and we are grateful to all of you for allowing us to be part of your journey. I have told you all time and time again, that you continue to help us as well. I read a quote from the article I have attached to this email, "Grief does not change you...it reveals you" - John Green * From the early days of my journey through pain and sorrow I have known deep inside that the rawness of my pain combined with the LOVE I have for my son Billy, brought forth an enlightenment and awareness that was overwhelmingly present in everything I began to do to honor his life and survive this horrific tragedy. The lives who walk with me, have also experienced many epiphanies and have grown these past 5 years with a deeper understanding of life. "And herein lies the gift that cannot die. It changes the course of your life forever. If you allow yourself the chance to feel it for as long as you need to - even if it is for the rest of your life - you will be guided by it. You will become someone it would have been impossible for you to be, and in this way your loved one lives on, in you. We come together at our monthly meetings to support each other, to cry and sometimes laugh. We understand and share this unimaginable pain, and we know that our thoughts and feelings are safe with each other. The outside world can be cruel to our circumstance.... whether people say the wrong thing, talk behind our backs, or say nothing at all....who cares??? We can rise above their insensitivity and take care of ourselves! Remember baby steps "day by day." Although the weather was not cooperative this past Friday night, we did have a nice show of members for our Annual Holiday gathering at our home. Food was abundant, including a special "spicy" delivery from our friend Bennett who wasn't able to join us. Our new puppy "Link" kept all of us alert and moving (lol), and Mike brought up a great point about animals...each one of them live in the present moment. They don't think about the past or the future, just the here and now. While I realize that we aren't "programmed" that way as humans, perhaps we can take some advice from the animal kingdom as it can only help our mental well being! Yes the Holiday's have arrived...for those who celebrate Hanukkah it's in full swing, with Christmas just around the corner along with the "here it comes" Happy New Year (ughhh). Each one of us know the Holiday's are changed for us. Our time is spent perhaps reflecting on the many special days we once had with our loved ones. We go through the motions for our remaining living family, but maybe if we had the choice we would just check out till after the New Year. Personally, I find each year very different in the way I feel and my perception of the time of year. Some years I feel like I need to be the "pillar" of the family, and some years I need to be taken care of. This year I'm in the "let's get this over with" mode. More than likely it's because I have many physical demands caring for Brian. My advice is whatever you are feeling, go with it. Trust your gut and take it easy on yourself. We all know the Holiday's increase our stress and sorrow (if that's even possible) even more. Coming together with our group members as we did gave us a very secure and safe place to be ourselves without having to be "on guard" from inappropriate comments. I for one, completely enjoyed last Friday. I hope each of you are able to surround yourselves with those who are supportive and gentle with your heart this holiday season. We are certainly here for those who choose to show compassion, and allow them to show us their hearts. Last Friday night we welcomed Kathleen and Chris to our group, always with open arms. Coming fresh off Mother's Day, and Father's Day fast approaching, many shared their feelings as well as their strategies for "dealing with" the actual day....as well as the days leading up, which can be worse. Most everyone is not only dealing with these "emotionally designated" days, they are also facing Birthdays, or perhaps the Anniversaries of our loved ones passing. Often, I have in mind a topic for discussion, however this particular night; especially having two new parents as well as many newly bereaved....I allowed the meeting to take it's own shape. Taking a few days to think about my reflection, and now in the wake of last nights tragedy in Manchester, my focus will be on "changing course." I often talk about how I felt my son (and continue to feel) Billy guiding me, from the very beginning, on this painful journey. The Great Love that continues to exist beyond his death has been the light for me, keeping my head above water. This type of loss from Addiction is perhaps the most complicated of all losses. We try with all of our might to rationally explain the circumstances that led up to our loved ones "use" and ultimately "death." We are angered and frustrated because we could not "control" the horror of daily life.....the agony of watching them spiral into a web that they couldn't break free of. Some of us may not have known the extent of their addiction, so we blame ourselves for not seeing the signs! Please, please, allow your feelings to surface....cry, yell, scream, etc... and then allow yourself to FORGIVE. Forgive yourself, your loved one, your spouse, and above all your genetic pool! We have little to no control over the situations presented in our lives. When we allow ourselves to understand this, we can then find the peace we need to come to terms and "mourn" for our loved ones. The gifts they brought to our lives far out weigh the turmoil of their disease and deaths. 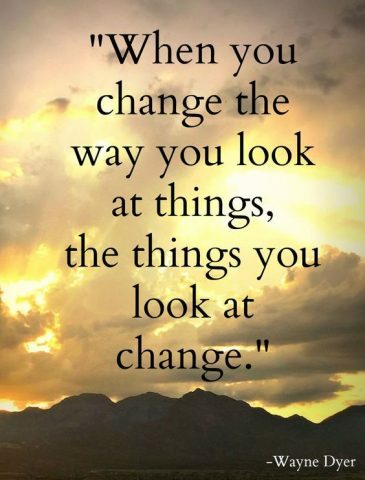 Living in gratitude takes great strength after having lost someone to Addiction Disease. Understanding that they were not the person they "became" from Addiction takes great love and insight. Our loved ones were not dumb or stupid.....we are not bad parents, or siblings, etc...This classroom of life is a gift to all of us. Billy has become my teacher. If I try to imagine our lives without Billy being born to us.....I simply can not! We were blessed with his life, I am honored to be his mother, and I always will be. I want to thank those of you who brought in books for our "Book Sharing Table." We will continue this book exchange going forward. Mike Feldman was kind enough to share a wonderful website for those who have experienced enlightenment. "Buddha at the Gas Pump" www.batgap.com is a nice resource for those who are looking to connect with those who have experienced a higher level of awareness. Also, for those of you who may not know, every Sunday on OWN (cable 180) at 11am is Super Soul Sunday with Oprah Winfrey. She has an extraordinary list of guests that visit and discuss various topics......needless to say "very enlightening!" Each day, month or year that passes is extremely difficult for all of us who have lost our loved one.....however, the holidays seem to "amplify" our loss even more. Family gatherings take place, tables are set, pictures are taken, but someone dear to everyone is missing. The Huffington Post recently released a wonderfully written article entitled "The Empty Place Setting - Dealing with Loss During the Holidays." The idea behind the article is to honor our loved ones by "doing...or not doing" which ever feels right for you. Filling the empty chair might be helpful for some to accept someone who may need a place to go for the holidays. This doesn't mean that we are "replacing" our loved one, no...no....it means we are giving honor to their life by reaching out and helping someone in need. Remembering our loved one in anyway you choose to do....a candle on the table, a toast, a picture close by. Gentle Care....for ourselves. This means we do whatever WE WANT, not what's expected of us. "We take care of our hearts." Gratitude, the one thing that can truly take a broken heart and begin to mend it with loving thoughts. This is a special event in memory of Evan and Andrew. Friday night we welcomed Meg and Steve to our group and listened with open arms and hearts as they shared the story of their daughter Amanda. As the holidays begin to make their appearance again, for the newly bereaved this can bring an avalanche of overwhelming emotions. For those of us who have had some practice with coping around the holidays, it can and will "still" bring all of the stinging painful emotions to the forefront. 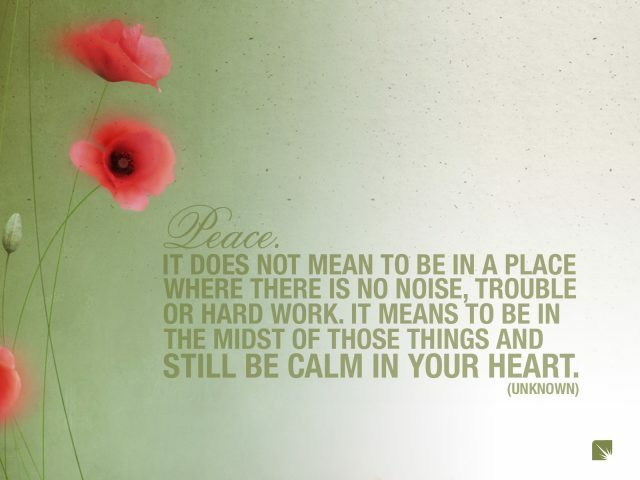 During this time of year it is most important to take time for yourself....to mourn, to cry, to remember. It's ok to say "No" to obligations that may be stressful. Let your family and friends carry the weight for a change. Trying some different approaches to the holidays can be helpful. Some of our members take this time of year to go away....finding some peace in the "quiet" of a vacation. Talking, talking, and more talking for others who need to....and for some, pulling it inward, and just letting the thoughts and memories flow. However you choose to handle the upcoming holiday, remember it's just a day. Our conversation led us to share how each of us are coping - our "Grief Toolbox" whether it's writing, reading, meditating, drawing, etc. these are all wonderful ways of working through thoughts and emotions. We discussed how everyone grieves differently, and while there is no wrong or right way to grieve we must be conscious of our progression. If you find yourself "stuck" and functionally impaired by prolonged grief symptoms, then you must seek professional help. Look, this is new territory for each one of us. We can't expect to navigate without some support and assistance. Some find solace in standing up and helping others in recovery, while others choose a road that connects them with a spiritual life. All of these stepping stones help us to make our path on this journey. I wish all of you Peace in your hearts and minds as you embrace Thanksgiving this year. The love that floods your heart will always keep your loved one close by. Last Friday we welcomed Jeannie and John to our group, as always with open arms. We listened as they shared their heartbreaking story with us, and shared many of our feelings with them. We know that our stories, circumstances, and emotions connect us in a way that differs from the outside world, and its in this nonjudgmental space that we can feel free to share our most intimate feelings. I arrived a bit later than I had expected as traffic from the Airport was insane that night! (I love NY lol) As I settled in and we began the meeting, I was asked the question of "How I have been able to live this horrific experience in a more positive place"? I was, of course, eager to share "my" journey these past (almost) four years, but as I began speaking I realized that my words could NEVER equate to the work it took to reach the place where I found some peace in this storm. I told everyone that in my darkest days; where I felt my death with Billy's, is where I found the courage to face the pain and fear of loosing my son, and feel the Love and Gratitude that will always keep us connected. Our meeting began with a warm welcome to our newest member ♥ Paula. We were very happy to see Bennett return while on crew rest, in between the many countries his career takes him. His keen observance of how our lives are now intermeshed with the "normalcy" of various occupations began our discussion. Some may question if those who work may be more fortunate to have their minds engaged for the most part of the day.....and some may be so involved with their work they "wish" they had more time to dedicate to their grief work. The majority of people will agree that although work can provide us with a place where we find purpose and productivity, it doesn't take away the pain and burn of our grief. Taking even a small portion of our day to cry, read, write, and remember is very important to our mental well being. If we constantly stuff our grief by not acknowledging it daily, we run the risk of the ever familiar internal emotional explosion. For many, grief can affect us physically. Only in recognizing our pain, and having the courage to face our fear, can we begin to process this horrific tragedy. Seeing a professional is the BEST way to uncover our deepest emotions. We begin a journey of understanding, analyzing and ultimately.....acceptance. Please understand, acceptance does not mean that we have given up and surrender. It means that we have begun the painful process of embracing and LIVING with our loss. I have attached the link to the piece that I read at our meeting which explains how one mother lives with the loss of her daughter Abi, who was kidded in a tragic road accident at the age of 12. Lucy Hone works is an academic researcher in the field of resilience psychology.